The best way to find out if hollow points will feed reliably in your pistol is to try feeding a lot of hollow points through your pistol! With this economical JHP load from Prvi Partizan (PPU), you won't need to spend a fortune on premium ammo to get the job done. 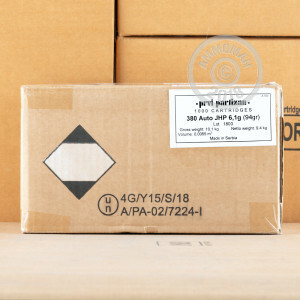 This 1,000 round case (packaged in 20 boxes of 50 rounds each) is imported from Uzice, Serbia, where it is manufactured to SAAMI standards in one of PPU's three factories. 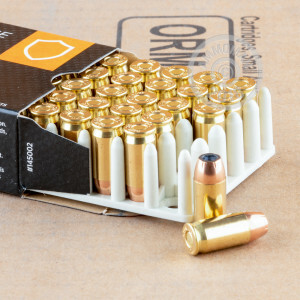 Priced to be affordable for range use, these rounds use a 94 grain jacketed hollow point bullet, non-corrosive Boxer primers, and reloadable brass cases. 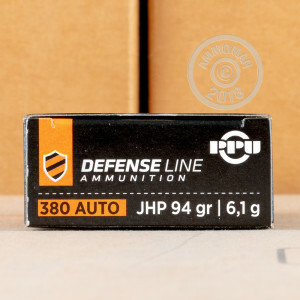 While not quite as sophisticated as premium JHPs, these rounds deliver good expansion and will perform better than FMJ ammo in a self defense situation. Buy this case or any other items priced $99 or more to qualify for AmmoMan.com's free shipping promotion.